Brent Hammonds, MSW, CDPE, Associate Broker. A resident of Arizona since 1991 and a Graduate of Arizona State University, Brent provides years of experience as an East Valley Realtor, servicing the cities of Scottsdale, Paradise Valley, Care Free, Cave Creek, Gilbert, Tempe, and Phoenix. After receiving his State of Arizona Real Estate License in 2002, Brent began developing his expertise throughout the real estate community. Since that time Brent has established himself as a Multi-Million Dollar Producer in the East Valley. 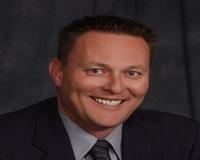 In 2007, Brent began focusing his real estate practice on the Phoenix area Short Sale & Foreclosure market. He is an established Short Sale Spe cialist who assists Phoenix area homeowners in negotiating with their lenders in order to avoid foreclosure. Brent has taught classes on “Successfully Negotiating and Closing Short Sale Transactions†and has been the focus of several local newspaper articles as a specialist in listing and selling Short Sales throughout the Valley. Brent handles every client transaction with unparalleled professionalism and a level of customer service second to none. He continues to work tirelessly on behalf of his clients to make their home buying or selling experience, pleasant and stress-free.